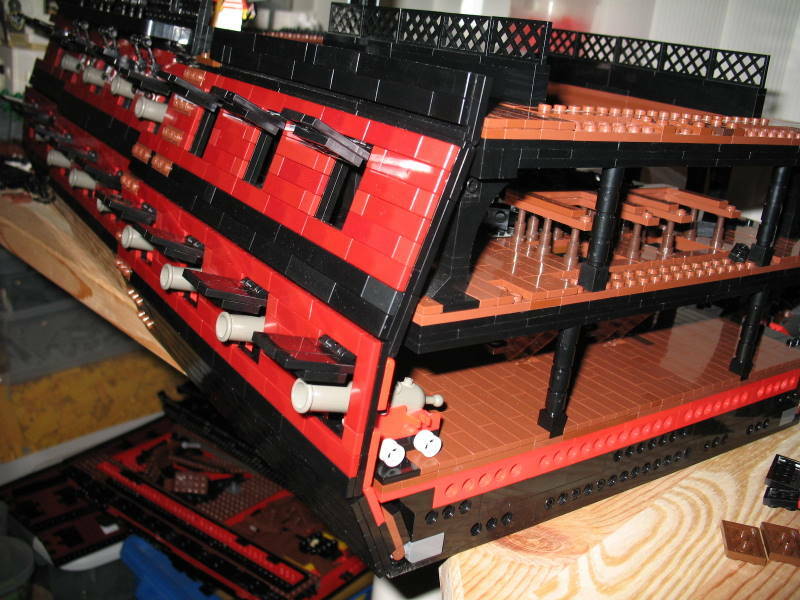 LEGO PIRATES CARIBBEAN 10210 IMPERIAL FLAGSHIP 100% w/ BOX & MINIFIGS FREE SHIP! Though originally intended as a building exercise for non-90°-angles, TitusV ended up creating a very nice fort in it's own right. The fort itself sits atop a rocky hill, surrounded by simple garden landscape. The angular walls of the fort come together perfectly and show of a nice technique for interesting castle and for design. A Redcoat battalion, ready for action! 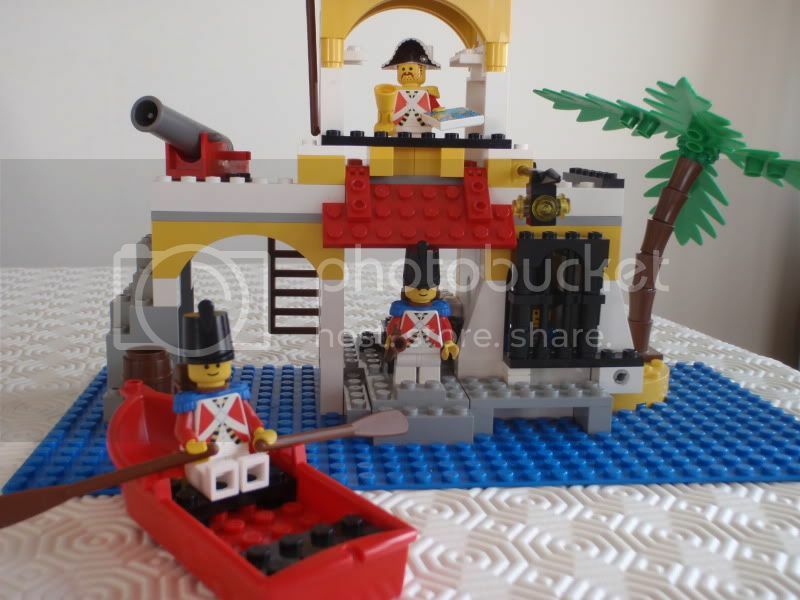 Eurobricks member ACPin is back in fine form with this vignette showcasing Redcoat soldiers in formation. Using cheese slopes to affect a kneeling position for some of his troops makes them look that much more prepared, and the new horse in its reared-up position just seems made for scenes like this! See more pictures and comment on Red Coats Firing Line in the forum. Brig. Brick has taken full advantage of the Collectible Minifigs in building up his armies. These hardened soldiers are battle-ready and armed to the teeth. Pirates don't stand a chance against them! See more pics and discuss ARMIES in the forum! A brand new midsection for the Phantom! See the Phantom by Zcerberus for yourself in the forum! A new fine sailing ship! The HMS Pallas! Eurobricks member anglezoo presents us his latest work; an astonishing vessel! With the colours of the famous Imperial Flagship this ship is a beauty. Great stern details and nice sails make this work even more spectacular. Hurry to the forum and see the HMS Pallas by Anglezoo for yourself! See this amazing work of art in the Pirate forum! Imperial Guards: are they the same? One of our newest members, General Armendariz, has discovered this abnormality: two Lego Imperial Guards, exactly the same, but with different button colors. This strange difference has already been noticed by multiple members, some of whom have even posted pictures of them. 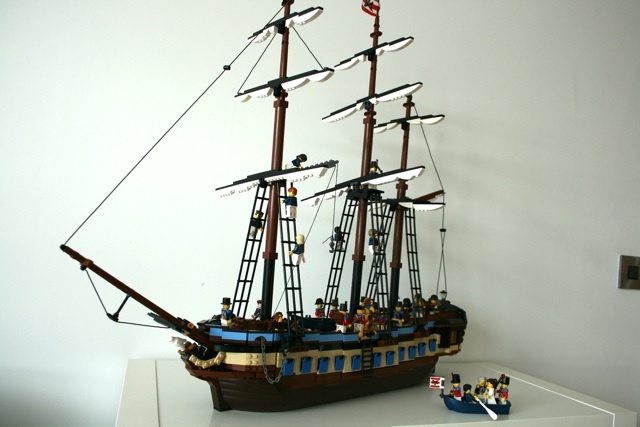 So if you want to discuss this or just want to know more about this phenomenon, then you should head on over to the LEGO Pirate forum! Posted by Zorro in Imperial Guards | Comments Off on Imperial Guards: are they the same? In early 1992, a new face of authority appeared. It was time for the Imperial Guards. And at their lead was Admiral Woodhouse. Apart from sporting a lovely red uniform and his different colour hair, he differed very little to his predecessor, Governor Broadside. He appeared in a few sets including 6263 Imperial Outpost, 6277 Imperial Trading Post and 6271 Imperial Flagship. So he was somewhat less rare than his blue counterpart, but seems to be more favoured amongst the AFOL community. Although he lasted longer, 1992 - 1995, he still had just as many troubles with the pirate Captain Redbeard, and later, Captain Ironhook. After 1995, the Imperial Armada took over toward the end of the Classic Pirates era. Woodhouse has captured the attention of many a pirate collector, and it was somewhat a dissapointment to see him go at the end of 1995, but the epic battles between the Imperial Guards and the pirates under his watch will be remembered forever.